This sandwich was simple and very tasty. 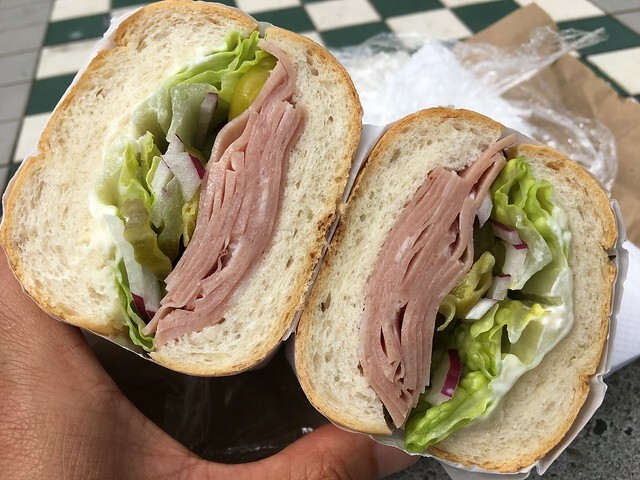 I liked their thin sliced mortadella and they put a good amount of it in the sandwich. The soft roll was even “soft” and a yummy choice for this sandwich. This entry was posted in Sammy's on 2nd, Sandwich Shop and tagged food, lunch, sandwich by vicentesf. Bookmark the permalink.